Tomatoville® Gardening Forums Index > We're Here For The Tomatoes!™ > The Workbench: BIY™ > Lathe Hack and old school tool use. I dont fish much but heard theres a certain way you need to put line on a fishing reel or it tangles when you cast. Yes it does and different from bait cast and spinning and spin cast reels. You can get a million twists in your line. Because I know you will enjoy these videos Worth. There are several more videos in this group. Enjoy! Thanks, I have watched every video the guy has made and subscribed to him some time ago. He is a talented person for sure. Spent hours watching his stuff instead of argument, cuss fight, drama TV. Back to old school tool use. I try to explain what I know to other people I work with. If they are the type that likes to learn then I will continue teaching. Today I taught the young man that works with me the term kerf with saws. Why is it a saw can be sharp and have difficulty cutting. The blade teeth were sharp but it was getting difficult to cut. It was the kerf wearing thin on the blade. I explained and tossed the blade. I also told the guy about how you can get a tool to set the kerf on saw blades but not hacksaw blades. The kerf is the teeth are cutting wider than the body of the saw. This allows the rest of the blade or body to pass through without friction. The fishing reel that was given to me was missing the anti backlash cap. So I made one and even ground the miniature thread cutting tool to do it. 48 threads per inch inside threads spinning lathe in reverse and treading out. Not bad if I do say so myself. As far as I know this part is no longer sold. Might as well post it here as any place else. I was at a school shop they were about to gut and redo for what ever reason. I picked up a good stash of aluminum heavy wall tubing some square aluminum solid stock and countless other odds and ends from the trash. My neighbor lady's son who is my age asked me if I wanted to sell my Lathe. Why would I do that I asked. His machinist stopped doing it for health reasons. Well I'm not going to sell my lathe I dont use it every day but when I need it the thing is there. He has no idea how to run a lathe but wants one to make the stuff for his business the other guy doesn't do anymore. It is grooving pipe for Vic fittings and TIG welding. Not once did he ask me if I wanted to do it but I think he was fishing or just too cheap to pay my prices. The other problem is he wants everything now not on my time but now. I have no idea what the turn around time was with the other guy. Was looking at 22 caliber barrel blanks to make a fancy custom barrel for my Ruger 77-22 magnum rifle. Looked at reviews and people were complaining about the bore not being centered. This is a raw unturned blank and not expected to be dead on center. That is why it is 1 inch in diameter so you can turn it between centers with a lathe dog to make it on center. And the reason it is only $44.95. Got side tracked on the way to the store centering up some square aluminum stock in the four jaw for a project. Fantastic video the guy is a kook. Spent the day cleaning up the lathe and oiling everything to keep it from rusting. This is a horrible time of the year for rust and I dont want it to happen to my stuff. That's about all I have for now. When you dont have a milling machine and you want Tee Nuts and none to be had in town. There are simple solutions, here is yet one of the more might I say involved methods. First pick up scrap aluminum and put in 4 jaw chuck. Turn to width and thickness. Now the hard part turn to the next thickness but leave what I call a boss to drill and tap on the lathe. I left dimensions a wee large so I could file to exact size, (old school part). Reason being, the dreaded Tee Slot is a little hard to measure and I was lazy. Now I have a pattern for more Tee Nuts. 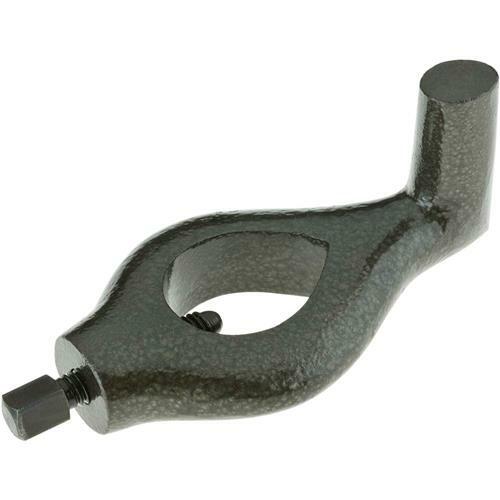 The Tee Nut allows you to clamp down stuff using the Tee Slot to hold the nut. Last edited by Worth1; February 11, 2019 at 12:07 PM. Now that I have to prototype completed I set up to do somewhat of a mass production. This being done not from scrap but some stock I picked up out of the trash. I set the stock up in the late in the four jaw and after much tinkering I got it to run true. I did this to face off one side to make the nut to the right width. Then I set it up with much tinkering to get it on center and drilled a hole through it. Next I cut out the profile of the nut and parted it off. The four jaw was removed and the three jaw was put on. Round part of nut stuck in three jaw and the finale drilling and taping was completed along with the thickness of the nut. The four jaw will be put back on for the next nut because I left the main portion of the stock in it not disturbed. I figured why not use both chucks because centering stock up on the four jaw is a bugger and time consuming. But necessary for square and odd shaped stock. I always wanted to cut Tee Nuts on a lathe. PS I hope someone is enjoying this. Going to try to do this in somewhat of an order of steps. Raw tee nut last picture. Still needs facing to thickness drilling and tapping. Final steps a few glamour shots and what they are used for.